Science and gender, it is an issue that comes up quite often. Complaints are often made that we don’t do enough to get girls interested in science, and that once they become scientists (or engineers) they face a host of issues their male compatriots do not have to deal with. The latter is beyond the scope of this blog, but the former issue is one that concerns us quite frequently. Now, from purely anecdotal evidence of ‘who comes into the store’ we can certainly say as far as our visitors are concerned there doesn’t seem to be any disparity in the genders. We get as many girls as boys and if anything the girls seem more focused. However, this example merely covers children who come into the store which makes it in effect a self-selecting survey. Outside of the store, gender bias in science enthusiasm is much more of a problem. Things have been worse in the past – times were that you would hard pressed to find any girls on the box covers of science toys at all or in the advertising. Mind you, most products these days solved the problem by not having any kids on the box cover, this has the advantage of being cheaper to photograph (no child models means no model fees) and doesn’t limit the product to just kids or a certain age of kids. 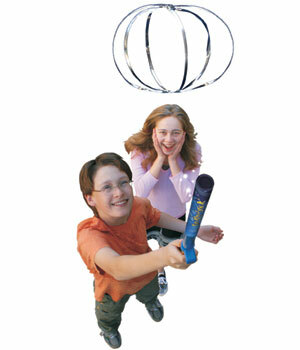 OK, so here we have a boy and girl demonstrating a popular product we actually carry. (Fun Fly Stick) Note that this image is what appears on the box. While it is good that there is a girl in the shot, you might notice she is not using the product, but merely being amazed by it as the boy plays with it. This is something of a half-step up from the past where there would have been no girl at all. Now, it might be that this shot was simply better than ones where the girl was using the stick, and its probable that the boy couldn’t affect a look of amazement in the same way she did. But still this sort of thing starts to be accumulative. The shot was enough of an issue that on our store we used a different shot from the manufacturer. This shot was less staged and, while we didn’t choose it because of this, has a girl using the stick. Things actually can get worse when too much effort is put into trying to get girls into science. 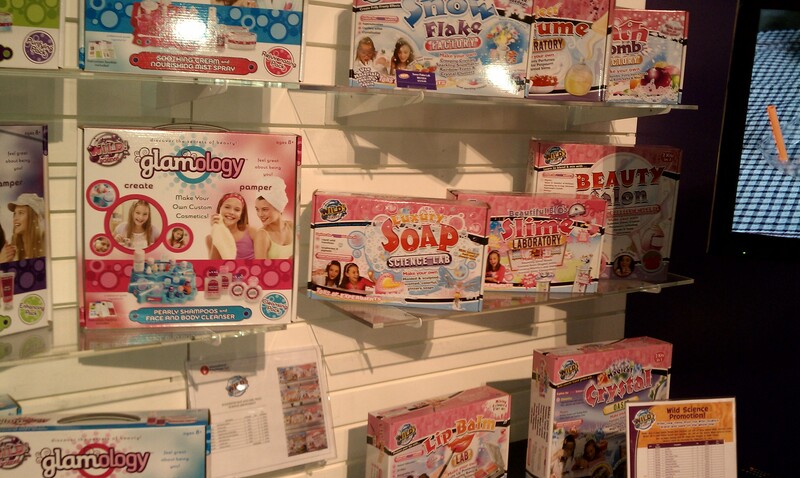 The problem that happens most often is that science toy makers seem to think that girls actually need to be fooled into playing with science toys. So they change chemistry kits into kits where kids make their own perfume , make-up and bath balls – which on its own isn’t a bad thing, but then they change the names so that they have as little to do with science and chemistry as possible and then they dress up the box in a very heavy pink color. To their ‘credit’ some things have changed slightly, there is now a “beautiful slime” kit in a predictably pink box. Frustratingly, Wild Science kits are very good. Before they became so gender oriented Spectrum Scientifics did carry some of their line. Sadly inventory problems and slow sales led to us dropping the line. These kits are not as bad as at least they have colors besides pink. But the copy, title and box art seem designed to fool girls into science, not to catch their interest. 1) Change packaging so that its not just boys playing with the toys. 2) Its OK to orient science toy packaging towards girls, but not to the extent that you are trying to hide the fact that it is a science kit. Be proud of what is going on in your kit! 3) You can aim at gender preferred science a little bit, but again do not overdo it. In general girls prefer biology and chemistry, boys prefer engineering & physics. But that is in GENERAL. Do not exclude one gender with your packaging and copy based on that generality! 4) If you must make products aimed at one gender or another, at least give both genders something interesting. Three different variations on making perfume or growing slabs shaped like hearts just isn’t interesting. 5) Do some market research with actual female scientists and figure out what would have gotten their attention as a child. They probably won’t say ‘pink packaging with smiling cartoon blond girls with pigtails holding a magic wand’. 6) While the info in #5 is crucial, remember that as children these scientists might well have played with science toys no matter how much they were not aimed at them. Make sure you are going to make your kits friendly to both genders. 7) Stop trying to fool girls into trying science. Make it so they want to do the science experiments, not that they need to be tricked into doing it. These just scratch the surface, and in truth is nowhere near a solution by any means. But sometimes the first step to fixing a problem is to stop making the mistakes that are causing it in the first place. But we still have a loooooong way to go. Last Night for the Jupiter, Moon & Venus Dance! For the past two nights, Venus, The Moon and Jupiter have been appearing very close together in the night sky, appearing around sunset and making quite a spectacle of themselves. This evening (February 27th, 2012), they will continue with their triple-conjuction. Afterwards the natural drift of three objects with very different orbits will end this conjunction. In other words, the Moon goes away. 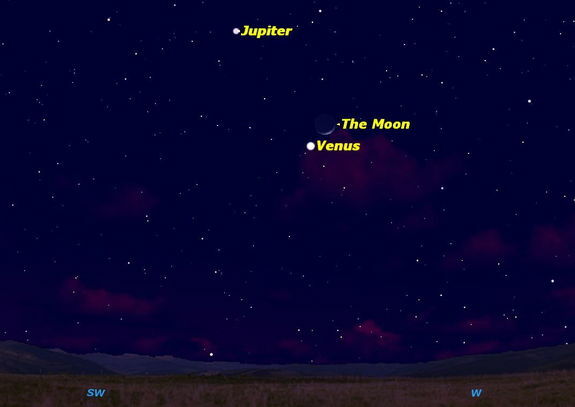 Venus & Jupiter will continue to appear together just after sunset through much of March. These stellar objects will appear in the West-Southwest sky just after sunset, with the Moon. These planets will be visible even in the most light-polluted of skies as long as you have a relatively unobstructed view to the West-Southwest. Take advantage! Night Vision optics are a lot of fun. Getting to see into a unlit yard or in a dark room can be a great experience and in some cases a lifesaver. But Night vision optics are tricky things – they often employ very sensitive optical plates and chargers that are needed for the night vision to work. What these chargers do is emit several particles for every particle of light that hits it. This is fine, but the device can be overwhelmed and burned out very easily. Keeping the lens caps on the night vision optics during the daytime is crucial as the let of a normally lit room can actually damage the night vision optical parts. One solution is to use a digital night vision system. We have sold these sorts of things before and they a decent job. Digital night vision has the same results as regular night vision but the method used is similar to taking a Photoshop image and cranking up the ‘brightness’ category – it is much more complicated than that, of course, but it gives you the basic idea behind it. In any case Digital Night Vision does not have the fragility to bright lights that standard night vision may have. Night Owl Optics has produced two new Digital Night Vision monoculars for customers. They are more durable (for the reasons listed above) and lower cost than standard night vision, and may have a longer lifetime than standard Night Vision. The only drawback is that you are looking at a screen of the image (much like the screen on a digital camera) through the optical eyepiece and not just the image via the optics. Most folks are willing to forgo this for the durability and lower cost. With a 2.1x magnification, a 20mm lens diameter, and a price tag of just $149.00 this is a very nice entree into night vision equipment. One further feature is that Digital Night Vision only needs standard alkaline batteries, not the special lithium batteries of the power-hungry standard Night Vision. The XGENPro has 3-6x variable magnification, a 37mm aperture and a range of up to 200 feet. The cost for the XGENPro is just $189! Both models employ built-in infrared illuminators, just like standard Night Vision equipment and weigh less than a pound each (without batteries). We’ve got a new line of products here at Spectrum – and its a product for the dinner table! We’ve added several products from the Painless Learning placemats. These are 17-1/2″ x 12″ heavily laminated placemats with detailed color fronts that give information on a wide variety of science & math subjects, the backs of the placemats are in black-and-white and can either be colored with dry erase markers or have a short quiz to see what kids using the placemats have learned!The placemats are economical at just $3.99 so you can buy a bunch and rotate them over a couple of weeks! Be sure to check out the World Map Placemat as well. For more on some basic learning there is a Multiplication Tables Placemat. Be sure to also check out the Sign Language Placemat, Learning About Money Placemat, and Time to Tell Time Placemat. We also have a Dinosaur Placemat (natch). In all there are 15 different placemats to choose from! be sure to pick up some for your next meal! Its President’s Day, but it is perhaps more important to note that today is the 50th anniversary of John Glenn’s orbital flight on the Freedom 7! 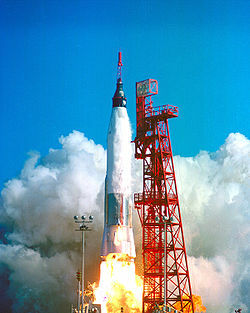 John Glenn was not the first person in space, but he was the first American in space, and while the USSR was racking up a lot of ‘firsts’ in the Space Race but the the Mercury program was actually much more effective research and testing for space exploration in the long run. That’s all for today. Its kinda busy here! Spectrum Scientifics now has these rare Iron Pyrite suns in three different sizes: Small (1″), Medium (1-1/2″) and Large (2″). These are low-cost, Grade B Iron Pyrite suns. They will have defects like cracks and other flaws, but the overall structure will be a sun. Consider these an excellent addition for collectors! New Metal Marvel Building Toys! We’ve had great success with the Metal Marvels. These are simple kits where you punch out metal pieces, bend them into shape and assemble. The kits are laser-cut and usually can be assembled in about 30-45 minutes. These were good for us so we added a few new models to our line! First up is the Space Shuttle Metal Marvel. The shuttle may be retired, but it still makes for an excellent model! Buildings were very popular so we also figured some of the European structures would do well. That is why we know have the Eiffel Tower Metal Marvel. Across the channel, we have London’s Big Ben Clock Tower. All Metal Marvel models are 3-4″ tall (or long for ones like the Shuttle) and are for ages 13+. They arrive flat on laser-punched cards so they can fit in an envelope or card.